Social monkeys: Marmosets make a good model for autism because they have cooperative social behaviors, such as food-sharing. Much of what scientists know about the neurobiology of social behavior in autism comes from studies of rats and mice that carry autism-linked mutations. But the advent of easy and reliable gene-editing methods has brought a surge of interest in creating monkey models with these mutations. Marmosets, a type of New World monkey, are particularly well suited for autism studies, Cory Miller and his colleagues argued in an article published 20 April in Neuron1. These monkeys weigh about a pound each and are highly social, allowing researchers to house them in large groups. 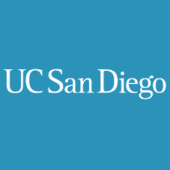 We asked Miller, assistant professor of psychology at the University of California, San Diego, what marmosets can reveal about social behavior and autism. Spectrum: Why are marmosets good models of human social behavior? Cory Miller: Generally, marmosets are a lot more cooperative than other primates. You see cooperative care for the young, imitation, food-sharing — all prosocial tendencies that are hallmarks of higher-level social cognition. These behaviors aren’t that common in a lot of other primates, and they have certain parallels with what you see in people. The marmoset communication system is somewhat unique and human-like, too. They are a lot more reliant on vocal communication than visual signaling, in part because they live in dense forests. In macaques, the frequency of calling is much lower. Some people have positioned marmosets as replacements for macaques, which I don’t think is the right way of thinking about it. One may be better for certain types of questions than the other, but together they expand the ways in which we can study the primate brain. S: What’s behind the surge of interest in marmosets? CM: Much of the interest has been driven by the prospect of applying molecular methods that have been successful in mice to a primate. For a lot of these experiments, what you need is a large population. An advantage of using marmosets is that they’re small, and so you can house many of them. A typical macaque lab might have 5 or 6 monkeys, whereas my lab has 40 marmosets and other marmoset labs might have 100. My lab has been working on developing several virus-based methods for gene editing. We need a large population to optimize these viral constructs for marmosets. Certain aspects of marmoset behavior have also fueled interest. For example, the small size of marmosets allows us to house them in a large group similar to what you might see in the wild. Therefore, many of the normal social and communication behaviors are present in the captive populations. By contrast, researchers usually house macaques individually or in pairs, making it difficult to capture the breadth of social interaction and normal social development that you might see naturally. Another advantage is that marmosets typically give birth to twins, have a short gestation period (about 120 days) and develop into adults in about 18 months, whereas macaques take 3 to 4 years to reach adulthood. 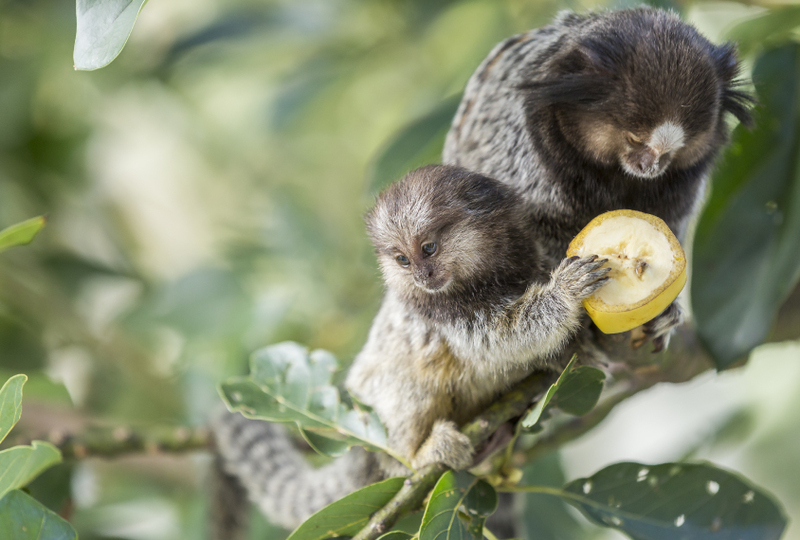 Marmosets’ rapid development makes studying developmental neurobiology feasible. S: What are some of the drawbacks of studying marmosets? CM: I think one of the challenges is that there are limited data on marmosets at this point. If you want to ask a question about how a particular brain region functions during a particular task, it would take several years of doing the necessary neurophysiology and behavior studies because we’re just starting this work. In macaques, there’s already decades and decades of really elegant research to build on. Simply replicating macaque experiments in marmosets may not be the most effective use of our time. Instead, we could use marmosets for experiments and questions that look at different dimensions of neural function than can be addressed using traditional approaches in macaques. S: How do you measure behavior and cognition in marmosets? CM: Scientists often restrain marmosets in a chair with the animals’ heads fixed and present them with socially relevant stimuli, such as faces or vocalizations. They then measure the brain’s responses to those stimuli. But there is a relatively small set of primate social behaviors that can be effectively studied in this way. We’ve developed techniques to record neural activity in freely moving animals and to actively engage them in ongoing social interactions. These methods open up the possibility of looking at what a primate brain does during more natural social interactions. S: What specific studies are you conducting right now? CM: We are beginning to look at social behavior, cognition, communication and decision-making at various developmental stages, and the brain circuits underlying these behaviors. Those are all experiments aimed at utilizing the marmoset as a model for studying human social behavior, and serve as an important foundation for modeling aspects of autism in a primate. We not only observe social behaviors, but actively engage the animals. For example, we developed software that acts as a ‘virtual monkey’ and allows us to engage marmosets in their natural conversations, and selectively manipulate aspects of their behavior in order to test specific questions about social recognition and social decision-making. We have also begun using methods that allow us to manipulate specific brain circuits during social interactions and study the outcome. My hope is that over the next few years we will continue this work in dozens or hundreds of animals and really get an idea of how social interactions and communication develop and vary among individuals. We then hope to identify how even small changes in neural circuits relate to observable differences in the spectrum of primate social behavior. I read with interest your post on the recent work by Cory Miller et al in Neuron. A key issue raised by my colleague is the paucity of available data on neurophysiology of marmosets. Macaques on the contrary are well known and studied all over the world. Very very large breeding facilities exist and render such behavioural/physiological/molecualr approaches possible. The behavioural repertoire of macaques is far easier to investigate and tools/techniques world-widely exist to study them in a clinically-relevant context (i.e. often using the exact same endpoints or test than in humans). Why therefore bothering with a model that will be used by a few researchers, and for which specific tools (justy like for rodents) would need to be developped, rendering almost impossible to repeat and confirm findings? In addition, autism prevalence is of 70 for 10 000 (i.e. 1 for 150 persons). A valid model of autism (beyond genetically modified animals) in wild-type animals should at least reflect such frequency. It is particularly interesting to see that depression for instance is reported in bred macaques with a frequency close to the occurence of depression in humans, grounding further the use of such species for studying psychiatric conditions.